Talk about survival strategies: The primitive mammals (tiny, shrew-like quadrupeds), furtively crawling out of their burrows at dusk, watching out for dinosaurs -- big ones that might step on them and, more important, little ones looking to eat them -- would quickly dive for cover at the first whiff of trouble. Dinosaurs rumbling through? Dive into the burrow. Forest fire? Dive into the burrow. With luck, the fire would pass by without using up all the oxygen in the hidey-hole and the frightened little animal could live to cringe and cower another day. The survival strategy really paid off when the Chicxulub asteroid hit: The cowardly little mammals took cover and enough survived to take over the world. The proud dinosaurs roared back at the heavens and went extinct. Some larger mammals had evolved by the end of the Cretaceous; a few were large enough to eat dinosaurs. They fared no better than their dinners. The K-T boundary shows us one place where the meek really did inherit the earth. Not surprisingly, the 'duck and cover' instinct survives in all of us descendants of those timid little creatures today -- though, unhappily, it doesn't always serve us as well. 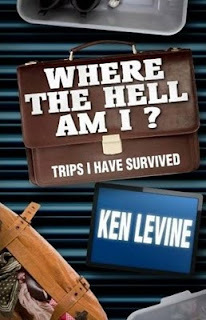 I well remember deposing a State Fire Marshal -- a grizzled veteran of four decades fighting and investigating fires -- who broke down in tears describing two children who'd died in a house fire -- a fire they might easily have escaped -- but who hid instead under a bed and were suffocated. Kids have an instinct, he explained. In a house fire, kids will naturally crawl into closets or under the bed. It is often fatal. House fires notwithstanding, most of our modern stresses are mental, not physical. But have you ever noticed? When things go bad at work, when we start fighting with our spouses, when we can't pay the bills, when we're facing unhappy medical news, we clam up. We don't return phone calls; we don't do much of anything. We turn inward -- diving into a mental hidey-hole. I submit that this is the same hide-in-the-burrow instinct that guided our little shrew-like ancestors, but it's not all that helpful now. As sentient creatures we can identify instinctive behaviors. We can understand that our impulses are instinctive, not rational. But it's still hard to overcome them. I'm trying. That's a Facebook relationship status, but it accurately describes my feelings about American involvement in the Libyan uprising. I wouldn't mind if Mr. Gadhafi is forced to abandon Libya. He's not just a despot, he's a dangerously crazy one. Anyway, there's history between America and Gadhafi. Supposedly, Libya's belated admission of responsibility for the Lockerbie bombing (in 2003) was prompted by America's invasion of Iraq: Gadhafi saw what we did to Hussein's regime and figured he might be next, so he decided to play nice for awhile. In fact, if memory serves, some in the Bush administration were allegedly pointing to Gadhafi's seeming change of heart as a happy consequence of our Iraq adventure. But that Iraq adventure isn't over yet. And neither is our adventure in Afghanistan. How many adventures can we have at one time? And, speaking of George W. Bush, who doubts that if he were pushing this latest military effort, there would be demonstrators screaming "No Blood for Oil!" in our streets? Mr. Obama presents a humanitarian case for our limited intervention in Libya: Gadhafi was murdering his subjects wholesale. But North Korea has been starving its subjects for years and we don't intervene there. What's the difference? Could it be... oil? And then there's our marvelous allies that begged us (supposedly) to intervene and that will (supposedly) be taking the laboring oar in the Libyan operation at any moment now. Only the Arab League seems now to be as much against the venture as for it. The Germans, too. And the Turks. Of course, our friends abroad are no worse than our domestic politicians. The Republicans were demanding intervention when Mr. Obama seemed to be leaning against it; now that he's intervened, many of them seem to have changed their minds. And, oh yes, this is now "Mr. Obama's War." And that bring up one more thing: I've danced around it in this post because everyone else has, too. But let's admit it: When we lob missiles at people or buildings or even tent complexes, that's an act of war. We are now at war with Libya. I'm really glad the U.N. thinks it's a good idea (although Russia's Vladimir Putin, who could have instructed his U.N. ambassador to veto the authorization for the use of force and did not, refers to the establishment of a no-fly zone in Libya as like a call for a medieval Crusade) -- but what about the role of Congress in any of this? Doesn't our Constitution say something about Congress having the power to declare war? At least when Mr. Bush the Younger went into Iraq, there was a clear purpose: Mr. Bush gambled his presidency, or at least his legacy, on the alleged presence of Iraqi weapons of mass destruction. It turned out there weren't any -- and Mr. Bush lost his gamble (whether or not you believe he otherwise 'accomplished his mission'). But what is our purpose in Libya? And, if our motivation is entirely humanitarian, as Mr. Obama seems to be saying, then how do we justify not also bombing Pyongyang? How can we possibly keep every tin pot dictator who is a menace to his own people in check? I'd like to see Gadhafi gone... but it's complicated. And, fortunately, not first hand. I didn't write about it at the time, not even here in the cocoon of my anonymous blog, but a couple of years ago I got fined by the Seventh Circuit Court of Appeals in Chicago for bringing what the court determined to be an inappropriate, ill-founded motion. I had to write a check to my opponent for what I consider to be a whole lot of money (even if it was less than a quarter of what my opponent requested that I be ordered to pay). I sent the check and the matter ended. I wasn't criticized by name in the one sentence order awarding the sanction and the sanction wasn't mentioned at all, even obliquely, in the 7th Circuit's subsequent opinion. But, I assure you, I was traumatized -- and chastened -- by the event, and not just because the client ultimately failed to pay a large chunk of my bill. I do not mention this in a bid for sympathy. I won't rehash the facts that led me to bring the unhappy motion or in any way try and persuade you that the court was in any way in error in sticking me with a fine. I mention my own sad history only because I thought, at the time, that I'd been sanctioned. I thought I'd been sanctioned, that is, until I saw Ahmeet Sachdev's column in yesterday's Chicago Tribune. Sachdev wrote about the Seventh Circuit's opinion Tuesday in the case of Lee v. Cook County, Nos. 10-2013, 10-2402 and 10-3026, in which Chief Judge Frank Easterbrook, writing for the court, slices, dices and purees the Chicago attorney who represented the plaintiffs in this employment discrimination case in the District Court and on appeal. The attorney's "calamitous handling of this litigation has been followed by a sloppy performance in this court" (slip op. at 7). Indeed, states the opinion (slip op. at 9), "The events recounted in this opinion show that [the plaintiffs' attorney] is a menace to his clients and a scofflaw with respect to appellate procedure. The district court may wish to consider whether he should remain a member of its bar. Would-be clients should consider how [the attorney] has treated [his clients in this case]." The Court of Appeals reprimanded the attorney for his "unprofessional conduct," fining him $5,000 payable to the Clerk of the Seventh Circuit. Also, the attorney was ordered to send his clients "copies of this opinion so that they may consider whether to file malpractice suits against him." Substantively, the court noted that the amended complaints eventually filed by plaintiffs' counsel in response to the District Court's order dismissing his original complaint without prejudice might not have been timely even if counsel had complied with the District Court's timetable for amendment. Counsel's long delay beyond that deadline was certainly fatal to his clients' claims. And -- adding insult to injury -- the Seventh Circuit noted that the District court erred in dismissing the attorney's original complaint in the first place. "There was nothing wrong with the original complaint," the court stated (slip op. at 3). "Multiple plaintiffs are free to join their claims in a single suit when 'any question of law or fact common to all plaintiffs will arise in the action.' Fed. R. Civ. P. 20(a)(1)(B) (emphasis added). The common question need not predominate; that’s a requirement for class actions, not for permissive joinder. Whether the Cook County prison system discriminates against black employees when making promotions is a question common to all plaintiffs’ claims." However, by failing to immediately appeal the erroneous dismissal, the plaintiffs' attorney 'bungled away' his clients' chances of success. Maybe only a practicing attorney can appreciate just how much this last bit hurts. Yes, the fine is awful; getting called a "menace" is worse (I've deleted the attorney's name, but the Seventh Circuit did not). However, being told that you had a good case but you screwed it up is the stuff of nightmares. I got fined for filing an improvident motion; the attorney in the Lee case got sanctioned. I understand the difference now. I was joking at home last night with Youngest Son. The topic was unimportant; Youngest Son's observation is the starting point. "That's high school humor, Dad," Youngest Son observed (accurately). "Well, I was in high school once," I shot back. "Yeah, 40 years ago," said Long Suffering Spouse. 65 -- which isn't 65 for persons my age any more. The new 65 is 66 years and 10 months. So far. According to the calendar, next week I will turn 54. Oh, I know some of my readers will dismiss my apprehension of this occasion as the whinings of a still-callow youth. Others will scoff that this seems a pretty random age to declare a "landmark." But it really is significant. This coming year will be the very last that I cling to the coveted 18-54 demographic. Advertisers really care about what people aged 18-54 like. It's persons in this age range to whom networks pitch shows and advertisers pitch products. In other words, Beyoncé will try and sell me stuff for only one more year. 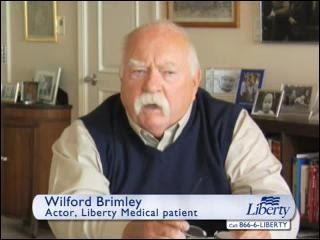 After that, apparently, advertisers believe I will respond better to pitches from Wilford Brimley. Anyway, I have one more year of demographic relevance. I'm not sure how, but I hope to make the best of it. I don't usually buy lottery tickets. I don't like the odds. Statistics have shown that you have a better chance of being hit by lighting -- twice -- than of ever winning the Lotto. Statistics and statisticians baffle me. What's "better" about getting struck by lightning twice? I buy raffle tickets at church, of course. I got $50 once from the Holy Name Men's Club monthly drawing. Another time I won a bottle of wine from the Council of Catholic Women's annual raffle. It had a screw top. Probably had a retail value of 79¢ (without paper bag). Gee, thanks, ladies. I just finished buying as many "Hoopsmania" tickets for Youngest Son's baseball fundraiser as I could afford. I got $100 once from the "Footballmania" tickets he sold for the football fundraiser. But that was a couple of years ago. The point is that one has to kick into fundraisers for church and school anyway. If prizes are awarded, that's a bonus. Except possibly in the case of the CCW bottle of wine. But the Lotto is different. You can't win if you don't play, according to the advertising campaign, but mathematics proves that almost everyone who plays doesn't win either. And, despite claims that Lotto money helps out local schools, the truth is that the money goes to the sponsoring states. Buying Lotto tickets is just paying an additional, voluntary tax. Well, the Mega Millions jackpot is growing again. It was just over $200 million for Friday's drawing, so I bought $5 in quick-picks on my way home. "We don't have the money for that," she reminded me (unnecessarily). And, of course, I didn't win the jackpot Friday. Nobody did. Now the jackpot is up to $244 million for tonight's drawing. Even after taxes, that would be enough to pay off my credit cards. So I bought another five quick-picks. I admitted as much to Long Suffering Spouse last night. "You did what?" she said. "But it's for $244 million," I said. "Well, I'll probably forgive you," she said, softening a little. There was a pause. "If you win." I ended yesterday's essay with a tease. I said that Sunday's controversy arose from the jacket Younger Daughter borrowed because she had lost her own sometime during Saturday's revels (at Middle Son's apartment, she says, but this has still not yet been confirmed). Younger Daughter needed a jacket because she was coming with me to the Northwest Side Irish Parade. The parade runs down Northwest Highway in my little corner of Chicago, within walking distance of my home. So we planned to walk. Younger Daughter grabbed her little brother's fleece. It was similar to the one she lost, only much larger. It was a two-tone North Face fleece jacket. In addition to the two side pockets one might expect on any jacket, there was apparently an interior pocket, along the zipper line, where one might put a driver's license or glasses or... in this case... a can of chewable tobacco. Youngest Son had apparently neglected to zip up this interior pocket when he last abandoned his jacket on a chair in the living room. Younger Daughter wasn't looking for the contraband; it simply fell out. I've never understood the appeal of smokeless tobacco. I've smoked cigarettes and cigars in my day, though if I've had two cigarettes in the last 25 years I haven't had three. I fancied cigars in high school, as much for the shock value as anything. I'd churn out these enormous clouds of smoke to the annoyance and dismay of my fellow high school sophisticates (most of them girls) and their cigarettes. But I never, ever had the urge to 'put just a pinch between my cheek and gum' as the old Walt Garrison commercial instructed. On the other hand, I understand that athletes, and baseball players in particular, seem attracted to chewing (even if "chewing" seems to me to be more dribbling and spitting). Supposedly, the stuff doesn't sap an athlete of lung capacity ("wind") the way smoking does. Many of Middle Son's friends "dipped" in their time and Younger Daughter advises that, at her school, the baseball players spend far more time chewing tobacco than taking infield or batting practice. Younger Daughter was placed in an unusual position when the can hit the floor. Traditionally she has been the one busted by surprise discoveries, not the one doing the busting. There was, for example, the time we caught her with a pay-as-you-go cell phone. This was fairly early in high school, before we surrendered to the inevitable and got all the kids cell phones. Younger Daughter couldn't wait for our resistance to be worn down. No, she was a social pariah without a phone, or so she thought. She would be even more socially handicapped while grounded, however. And, though its not exactly true that Younger Daughter's high school years were the four years she was grounded, it sometimes seemed like it was going to turn out that way. Anyway, one evening in the winter, when it was dark before dinner, I had occasion to be upstairs when I saw a glow coming from behind the partially open door to Younger Daughter's room. I was frightened -- at first -- because I couldn't figure out what was making that freaky greenish-blue glow. It turned out that Younger Daughter had received a message on the phone, but she wasn't in the room to receive it. And she'd left it out in the open. That phone has been in my desk now, here at the Undisclosed Location, for years. And there was the St. Patrick's Day just a couple of years ago, before Younger Daughter turned 21, that she returned home from the parade downtown with a mostly empty pint of Captain Morgan not particularly well concealed in the large bag she was carrying. She didn't think anyone was home because the van wasn't in the driveway -- but Long Suffering Spouse didn't come with me on my errand that afternoon. Long Suffering Spouse was working in the living room when Younger Daughter stumbled in. "What bottle?" asked Younger Daughter, trying to feign innocence. And then there was the time -- well, never mind. You have the picture now, surely. Younger Daughter is pleased as punch when someone else is in the dock -- happy it's not her -- but she is not used to being the agent of disclosure. "I didn't mean for that to happen," Younger Daughter said. "I know," I said and meant it. In the ongoing battle of kids vs. parents, Younger Daughter has never turned snitch. We went to the parade. Among the politicians and pipe bands and floats was a trolley bus chartered by a hardware store that hopes to open up on Northwest Highway in the spring. The store owners had engaged kids to run down the parade route on either side of the bus handing out miniature tape measures -- little, round plastic things emblazoned with the name and address and phone number of the store. I took one when it was offered. "Here," I said to Younger Daughter, "put this in the inside jacket pocket and zip it up." Younger Daughter did as instructed. She looked a little confused at first, but then the light bulb went off. "Oh," she said. "He'll think that it's still there until he takes it out to look." Well, of course she did. Long Suffering Spouse and I had gotten our Sunday obligation out of the way early in the morning, before either of the kids were up, so Younger Daughter and Youngest Son had to go to 6:00pm Mass. That's when she gave my plan away. "He's scared to death," Younger Daughter reported to me, only she expressed it in scatological terms. Long Suffering Spouse and I had to get Younger Daughter back to her dorm Sunday evening (Spring Break having ended) and I didn't have the opportunity to speak with my youngest until late in the evening. He was doing homework in his room. "Do you have anything you wish to tell me?" I began. "Nothing that you don't already know, apparently," he responded. He didn't look or sound happy about it either. There followed The Chat. I told him that I didn't want him using this stuff. "If you want to spit and dribble on yourself," I told him, "use sunflower seeds. You like those and there's at least some nourishment in them." I don't know -- and won't know for some time, if ever -- whether I successfully warded him off the stuff or merely made him more careful about getting caught again. But I retained one arrow in my quiver -- and I made darn sure Youngest Son knew it. See, I didn't tell Long Suffering Spouse. I promise you (and Youngest Son well knows) that were she to learn that he was messing with chewing tobacco there would not have been any quiet chat -- there would be an explosion. A lot of parenting is role playing: Good Cop, Bad Cop. I think this may be hard-wired into the species -- the ability of parents to play Good Cop, Bad Cop is part of the evolutionary advantage conferred on kids raised in two parent families. In our house, we take turns, depending on the issue or who finds out what. Sunday night was my turn to be Good Cop. Youngest Son's can of tobacco now resides in my desk next to Younger Daughter's pay-as-you-go cell phone. Those of you with access to any decent calendar will know that the Feast of St. Patrick isn't officially celebrated until this Thursday. But, in Chicago, this weekend just past was the weekend for the parades. The big downtown parade was held on Saturday and the largest remaining neighborhood parade, the Northwest Side Irish Parade, was held on Sunday. There used to be a South Side Irish Parade, too, that marched south on Western Avenue from 103rd or so. From a small gathering of moms with green streamers on their strollers, that parade grew and grew until the good people of St. Barnabas and St. Cajetan Parishes got thoroughly disgusted with drunken outsiders, many of them well underage, vomiting on their well-tended lawns and urinating in their bushes. The prodigious consumption of alcohol has been a staple of St. Patrick's Day celebrations in Chicago for longer than I've been around. But there is a fuzzy line between a lot and way too much. I've slid across that line myself a time or two. In today's increasingly intolerant world, though, I worry about my kids making the same mistakes I did. The consequences of those mistakes are ever so much more severe now. Thus it was with grave apprehension that I received Younger Daughter's announcement that she was planning to have a bunch of people over to the house Saturday morning to "pre-game" before the downtown parade. "Pre-game," in this usage, means to get sufficiently buzzed before going to one's ultimate destination. The idea is that the bar tab will be lower. My apprehension turned to real concern when Younger Daughter (she is 21 now) and her boyfriend Olaf and another of their friends bought enough hootch Friday night to keep a busload of college kids happy on a cross country journey. "You'll be goggle-eyed and stupid before you even get to the train," I complained. And, unhappy as I was, Long Suffering Spouse was miserable. At least as my wife tells the story, there is no great sloppy-drunken feast in Cuban culture. My wife's mother has a particular aversion to even occasional drunkenness and my wife inherited these views. Put it this way: In my younger days, if I drank too deeply of the Nectar at a social gathering, I would naturally want to compensate by sleeping in on the following morning. My wife would not permit this. Depending on how bad I'd been, she'd send one or more kids in to wake me up in the morning. If I hadn't been too bad, it might be only one or two kids sent in to do the job. But if I'd gone way over the top, singing off-key and amusing one and all with my antics, all of the kids would be asked to wake up Daddy. At one point, this was five kids, jumping on the bed and shaking my remains. This is called behavior modification therapy. And -- let me tell you -- it works. But back to our story. As it turned out, most of Younger Daughter's friends either couldn't get up early on Saturday or decided, at the last minute, to pursue other interests. So it was just the kids who'd bought all this stuff who wound up gathering in my garage Saturday morning. With Long Suffering Spouse anxiously looking in from the kitchen from time to time (she was making soda bread), I brought the kids into the house and put some CDs by the Chieftains and the Clancy Brothers on the stereo. "You may as well be exposed to some other aspect of Irish culture besides ethanol," I told them. We chatted awhile as I sipped my coffee (just coffee, thank you) and chatted about global warming. Sure, they may have been bored to tears, but they didn't drink nearly as much as they would have if left shivering in the garage -- and I enjoyed the morning. When I dropped the kids off at the train, the station looked like a general evaluation order had been issued: Everyone in the neighborhood, it seemed, was heading to the el. And they were all wearing green. It was cold in Chicago Saturday, gray and windy. I didn't think the kids would last long at the parade, and I was right. Younger Daughter soon tracked down her oldest brother (who lives near downtown) and the party moved to first one overcrowded tavern, then another. Middle Son, the accountant, had to work Saturday morning. Tax season doesn't stop, even for St. Patrick's Day. But he stopped at the Curmudgeon home after work, instructed by his sister (at my suggestion) to pick up their enormous stores of alcohol and move it to his apartment. Olaf and Younger Daughter and Oldest Son and his wife Abby wound up at Middle Son's apartment at some point. After awhile, these four went back to the apartment that Oldest Son and Gabby share with their little dog, Rodent. Younger Daughter wanted to play with the dog. Oldest Son had to work yesterday, so he wound up curtailing his celebrations pretty early in the afternoon. In fact, he drove Olaf and Younger Daughter back to our house at a still respectable hour on Saturday night. The only casualty of the day, as near as I can tell so far, was Younger Daughter's fleece jacket. She's pretty sure she left it at Middle Son's apartment, but Middle Son reported last night that he 'hasn't started cleaning up yet' from Saturday's party, so he doesn't know whether he has it or not. Yesterday's controversy grew from the jacket Younger Daughter used as a replacement. But I'll get to that story -- if I get the chance -- tomorrow. Almost all of us in the United States will switch this weekend to daylight savings time. We will move our clocks forward one hour late Saturday night (Spring forward; Fall back). There are advantages to daylight savings time, but we lose an hour of our precious weekends each time we make the switch. The problem has an easy solution: Instead of taking one hour from our sleep on Saturday night, why not take an hour from Friday afternoon instead? Go home an hour early tomorrow. Set your clocks ahead then. 3:58... 3:59... 5:00.... Happy Hour! Yes, there will still be some grumbling about how early it all seems on Monday morning. But we won't feel cheated. Tell your friends. Tell your relations. Tell your neighbors. Tell your neighbors' friends and relations: Let's start this weekend one hour sooner. Move your clocks ahead on Friday afternoon! DuPage County State's Attorney Bob Berlin denounced Governor Pat Quinn's signing of a bill yesterday abolishing the death penalty as a "victory for murderers across Illinois." [O]ver drinks in a bar one day, a fellow lawyer made what I think is a tremendous argument against the death penalty. "Have you ever won a case you thought you thought you should have lost?" he asked. "Have you ever lost a case when you should have won?" And this is the tack taken by an analysis in today's Chicago Tribune: While qualms over the morality of the death penalty motivated some opponents, the compelling argument was that too many mistakes were made in Illinois death penalty cases. Persons languished on Death Row for years (as the interminable appeal process wound and rewound through the courts) -- and sometimes wound up exonerated. If only criminals would use such care in regards to their victims. Supposedly we will now lock up murderers in Illinois forever. The worst of the worst, the serial killers, the cop killers, the child killers, will (allegedly) never be eligible for parole. And some of them -- like Wisconsin's infamous Jeffrey Dahmer -- will themselves be murdered while behind bars. No one will mourn. Indeed, such karmic occasions will be an opportunity for wit and black humor... as it was when one half of the infamous child murdering team of Leopold and Loeb, Richard Loeb, was shanked in a prison shower at the Stateville Correctional Center in 1936. Leopold and Loeb were highly educated young men. Leopold was only 19 at the time he and Loeb kidnapped and murdered Bobby Franks on May 21, 1924. Leopold was enrolled in the University of Chicago Law School at the time. Loeb, only 18, had already graduated from the University of Michigan (the youngest ever to graduate from that school) and was planning to attend the University of Chicago Law School. Thus, the twist of Ed Lahey's lede about Loeb's death in the Chicago Daily News, "Richard Loeb, despite his erudition, today ended his sentence with a proposition." I leave you with an uncomfortable question: Now that we've abolished the death penalty for the most heinous criminals, can we do something about the death penalty imposed on too many of our society's most innocent and helpless individuals? The case of the missing birth certificate -- or -- When should visiting adult children book a hotel? Older Daughter has not been up to Chicago since Christmas (see, Christmas with Rodent & the Curmudgeon clan -- Part I -- In which every dog shall have its way) and she had fixated upon this past weekend for her visit. There are a couple of problems with designating a particular weekend for an inter-city visit (Older Daughter and her husband, Hank, reside in Indianapolis). The first of these is that, all too often, despite all best wishes and efforts, germs or virii will come to visit along with the family. If you recall, at Christmas, it was Hank who came down with a fever while staying at our home. The second problem is more general, and arises whenever an adult child and spouse come calling: Where are they to stay? If I had a stately English country home, like the ones in Jane Austen's novels -- or even P.G. Wodehouse's -- putting someone up for a weekend would be no problem. But, alas, I'm not certain whether even the English have stately English country homes anymore, aside, possibly, from the Royals or Paul McCartney. I certainly have no such accommodations. We did hit upon a solution at one point (see, Curmudgeon acquires a futon to solve a family dilemma) but events of the weekend just past are causing me to rethink the whole idea of just how much hospitality I should extend to visiting adult children. The problem started Thursday. Long Suffering Spouse started the day feeling poorly. Last week was a particularly tough week since Youngest Son had to be at school by 5:30am for varsity baseball tryouts Monday through Thursday. I know I occasionally exaggerate in these essays for comic effect, but in this case I am serious: The kid actually had to be at school by 5:30am. Then, because he is a returning varsity player, he was expected to help out with the freshman tryouts after school. On Tuesday evening, the baseball team (though not yet finally selected) went as a group to the varsity basketball regional game in a far northwest suburb. On Wednesday evening the team (still not yet finally selected) went as a group to the wake of a player's mother who'd died suddenly. When he got home he could start his homework. Not surprisingly, Long Suffering Spouse and I were pressed into service as backup alarm clocks for the boy. Adrenaline got him moving on Monday, but our assistance was increasingly required on each succeeding day. So we were up early, too. And Tuesday Younger Daughter came down with some sort of massive eye infection. (She lives at her college but it is in a nearby Chicago suburb.) I was home Tuesday morning when she called to tell me that a problem was developing -- neither of us could have imagined then just how ugly it would get -- and I volunteered to take her to the doctor. (She eventually looked like she'd lost a bar fight to a brute with a terrible cold.) "No," she said, "I have an appointment with the school nurse this afternoon." The school nurse can write prescriptions. "Fine," I said, and went on my merry way. That afternoon, though, as I was headed out to Wheaton on actual legal business, I got urgent phone calls from my wife and Younger Daughter: The eye was nearly swollen shut and could I divert on my way home to stop and pick up my daughter's prescription at the pharmacy near campus? My child desperately needed my reassuring paternal presence, er, charge card. Because I still harbor hopes of getting back to the original narrative thread before nightfall, I will spare you the details of this mission, except to note that the nurse had either botched the prescription or the pharmacist could not understand the nurse's intent and, after an inordinate delay, I wound up at the doctor's office as I'd volunteered to in the morning... only eight hours later. I don't think either of these events directly caused Long Suffering Spouse's illness Thursday, although the stress and fatigue may have rendered her more susceptible. I suspect that what did her in was a project at her school. Last week, Long Suffering Spouse was out in the parking lot every morning supervising volunteers from her junior high homeroom as they escorted preschoolers from their parents' cars into the school. The presence of teachers and "big kids" helping the little guys navigate keeps the traffic flowing in the mornings because anxious parents of preschoolers don't feel the need to park and walk the kids in themselves. The problem is that preschoolers have a breathtaking range of germs and illnesses that they trade with each other the way kids in my day used to trade baseball cards. We built collections; they build immune systems. Outsiders, though, and my wife would count for this purpose because the junior high is on the other side of the school building from the preschoolers, are pretty much doomed. So, by Thursday morning, Long Suffering Spouse was feeling punk. I had the van again because I had to take Younger Daughter to a follow-up doctor visit. I was in the office at lunchtime, though, when I spoke with my bride: She had declined perceptibly. We planned that I would come get her just as soon as the school day ended. "What about Older Daughter's visit?" I asked. "I can't worry about the weekend yet," my wife said. "I have to see if I can make it to school tomorrow first." I got Younger Daughter to her doctor's appointment and returned her to her dormitory. I was on my way back home when Older Daughter called. "Are you home by any chance?" she asked. 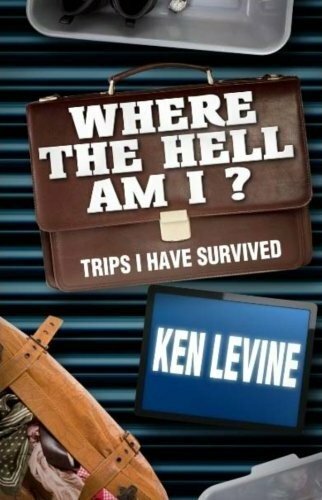 "No, but I'm on my way. Why?" Older Daughter, it seemed, was at the DMV trying to get her driver's license corrected, something she needed to do to get her passport renewed. I'd provide the details but I never really understood the problem. It had something to do with whether or not her middle name would be spelled out in full on the passport. The one thing that Older Daughter was absolutely clear about was that she would need her birth certificate scanned and sent to her. She planned to wait in line until I sent it to her. Unfortunately, there are railroad tracks that cross my route home from Younger Daughter's school. Sometimes freight traffic operates on these tracks. Such was the case on Thursday afternoon. The gates went down moments after I'd completed my conversation with Older Daughter. The gates had just gone up, and I had just resumed my homeward journey, when Older Daughter called again. "Are you home yet?" I promised, faithfully, that I would call her just as soon as I got there. I finally pulled in the driveway and the phone rang again. No -- I know what you were thinking -- and you're wrong. This time it was Long Suffering Spouse. She was ready to be picked up. There are times when cell phones drive me bonkers. I didn't even take my coat off. I got Long Suffering Spouse into the house and ran upstairs to the file cabinet where we keep all the kids' papers. I didn't make it in time: The phone rang before I got the drawer open. "I'm pulling your folder out now," I told Older Daughter. I am the pack rat of the family. But though my wife is much better than I am about throwing things out, she's kept a lot of souvenirs for each kid. Older Daughter's folder was bulging with grammar school report cards; Christmas and Mother's Day cards in all their Crayoned glory; certificates from band and choir; test results; achievement awards of all sorts; official records of Older Daughter's Baptism, First Communion and Confirmation -- but no birth certificate. I provided Older Daughter with a play-by-play description of my search of her folder. She told me it must be there. After a second futile search, I decided to go through everyone else's folder. Maybe it had been misfiled. I found Oldest Son's birth certificate right away. I found Younger Daughter's. There were multiple copies of birth certificates in the folders for Middle Son and Youngest Son; they'd needed birth certificates for various baseball tournaments over the years. I couldn't find Older Daughter's. "Is it possible that you took it out when you were getting married because you needed it for something?" It seemed a reasonable question: She needed paperwork both for the civil license and for both the Catholic and Episcopal Pre-Cana sessions. (Hank's an Episcopalian, you may recall.) But Older Daughter was adamant. "No," she said. "I'm sorry," I said, "but I've gone through everything and it's not here." "That's alright," she said, "I'll find it when I come over." Besides, she added, I'd waited too long; the office where she'd been loitering all this time was about to close. "I have to go now," she said. "I'll see you tomorrow." Long Suffering Spouse, shivering from a fever, had, in the meantime, pulled the file she kept on Older Daughter's wedding, and was poring through its contents in a futile search to find the missing birth certificate. "There's one more place I can look," she said, and she struggled to rise from her chair. "Stop it," I said. I can pick up a certified copy at the County Clerk's office tomorrow, I told her. "Just sit." "Did you tell her I was sick?" "I did." I even told her that she might want to reconsider her plans to visit because of Long Suffering Spouse's illness. "She said she'd call you when she got home to see how you were feeling." We didn't want to forbid our daughter to visit. She'd been looking forward to it. And she and her husband had made plans to visit others while they were here. One of Hank's buddies from college was recently engaged; there was to be a party in a western suburb Saturday night. "Why don't they stay in a hotel?" I suggested. "They don't have any money --"
I cut Long Suffering Spouse off. "They're both working now," I said. "They both make good money." "They're saving up for a vacation," Long Suffering Spouse protested. "Exhibit A for my side," I said. Long Suffering Spouse and I don't take vacations. We couldn't possibly afford it. "There's no place to stay," Long Suffering Spouse began, but her voice trailed off even as she said it: We live in the shadow of O'Hare International Airport. There are a million hotel rooms within a few miles' distance of our front door. So Long Suffering Spouse regrouped. "She won't do it," my wife said. "Why not?" I asked. "She and Hank can come over as often as they want, but we don't have to clean up nearly as much and you can get some rest. And they can have their privacy and come and go as they please." "She won't do it," my wife repeated. "Even when we explain that you're ill? Good heavens, she doesn't need to get sick. And Hank was sick the last time he was here." My wife just looked at me. It was my turn to try and regroup. "OK, fine, we'll just present the facts and let her make a mature decision. She is, after all, an adult." "She won't stay at a hotel," my wife said. Well, maybe we should stay in a hotel then, I thought, but did not say, because my wife would remind me that we could not afford it. Well, you know the rest: I presented the unhappy facts to Older Daughter without gloss or sugar-coating. Long Suffering Spouse (who never gets sick) was ill and might not even go into work in the morning. (She didn't. She couldn't.) We didn't want Older Daughter or Hank to get whatever crud is in our house. "I want it noted for the record that we have made full and complete disclosure," I said and Older Daughter acknowledged that we had. But she and Hank came anyway. And they stayed at our house. We worked around them as best we could. Long Suffering Spouse is back at school this morning, although she's still queasy. And I'm here at the Undisclosed Location... and sinking fast. I will bet large sums that Older Daughter will not come down with this loathsome disease, however, and even larger sums that, if she does, she will never admit where she got it. There is a denouement to all this. I did pick up a certified copy of Older Daughter's birth certificate Friday afternoon in the office of the Cook County Clerk. I picked up two, in fact. I gave one to Hank as soon as I walked in the door on Friday evening, explaining to him that I would be keeping the other against the day that she loses the one I just handed over. Hank was saying something like, "That's a good plan," when Older Daughter swept into the room checking to see what we were up to. I explained that I'd just given Hank a certified copy of the birth certificate for safe keeping. "Oh, that," said Older Daughter. "Didn't I tell you?" "After I hung up with you, I went and found the supervisor again and explained everything again. And he agreed to let me have the license corrected without the birth certificate after all." "Muammar Gaddafi" is the spelling used by TIME magazine, BBC News, the majority of the British press and by the English service of Al-Jazeera. The Associated Press, MSNBC, CNN, and Fox News use "Moammar Gadhafi". The Library of Congress uses "Qaddafi, Muammar" as the primary name. The Edinburgh Middle East Report uses "Mu'ammar Qaddafi" and the U.S. Department of State uses "Mu'ammar Al-Qadhafi", although the White House chooses to use "Muammar el-Qaddafi". The Xinhua News Agency uses "Muammar Khaddafi" in its English reports. The New York Times uses Muammar el-Qaddafi. The Los Angeles Times uses Moammar Kadafi. Whatever we call the guy, he's still bats. And armed and dangerous. It is widely reported, of course, that Gadhafi is shooting his own people, even bombing them from the air, because they've had the temerity to try and overthrow his 40-year tyranny. It is further reported that he's had to import mercenaries for these tasks since his own soldiers have shown an alarming tendency to go over to the demonstrators whenever possible. And those bombing raids on the oil port of Brega, currently in the hands of anti-Gadhafi rebels? All just a "big misunderstanding," according to Saif al-Islam, one of Gadhafi's seemingly endless supply of sons. The bombs, he said, were just meant to "frighten" the rebels, not kill them, al-Islam told Sky News. The bombs, having detonated, were unavailable for confirmation of this assertion. But, according to this linked story in Britain's Telegraph, the big misunderstanding was continuing for a second day, since the rebels weren't 'frightened away' by the first day's assault. Indeed, according to the news report, the rebels were not only not "frightened," they seem to have repulsed the initial attack. But the good news is that the world is uniting against Gadhafi: Why, just the other day, Libya's membership in the United Nations Human Rights Council was suspended because there is a sneaking suspicion on the part of several UN diplomats that importing mercenaries to murder your citizens, or bombing and strafing your citizens from the air, may not be in keeping with the highest traditions of protecting human rights. Oh, and Fox News reports that the "U.N. Human Rights Council has postponed consideration of a report that praises Libyan leader Muammar al-Qaddafi’s government for its human rights record." The vote had been scheduled for March 18, but after "concerns were raised about the possibility of the council undermining its own actions by considering the report, the council decided Thursday to put off the vote." Presumably the vote can be rescheduled if Gadhafi survives. And, if not, another anti-Israel resolution can always be whipped up and voted upon. But, do not worry that a spirit of liberal abandon has seized the world body: Stalwart champions of human rights like Russia, China, Saudi Arabia, and Cuba remain members in good standing of the UNHRC. Meanwhile, it seems that every time someone picks up a rock in Benghazi or Tripoli, gasoline prices rise in the United States. So many rocks have been picked up by so many demonstrators, gasoline prices in Chicago are up to $4 a gallon. The Washington Post reported last night that the price of oil on the New York Mercantile Exchange climbed over $102 a barrel because traders are worried about the situation in Libya and whether "unrest" might spread to other oil-producing nations. Then, this morning, another great champion of democracy and human rights, Hugo Chavez, proposed a mediation between Gadhafi and his opponents. Gadhafi has reportedly agreed to the proposal and the Arab League is reportedly also interested, although, it says, it wants details before getting too giddy about things. And, lo and behold, just like magic, when this exciting news was released, oil prices fell below $102 a barrel. Now, you might be able to understand how markets that exist to predict the future price of oil might fluctuate with each news report from Libya. However, you might also think that any possible interruption in the flow of oil from Libya, even if it is not quickly made up by increased production from other sources, would not be felt at the gas pump for some time afterward. After all, the gooey stuff that is pumped out of the ground can not be pumped into your car without extensive refining. And that takes time. Just as it takes time for oil to get from the ground to the refinery to make gasoline, it also takes time to get that gasoline from the refinery to a gas station near you. Therefore, you might think, an immediate rise in the price of gasoline -- the end product -- should not be expected just because of the current troubles in Libya. The cost of producing the gasoline at the corner station was not increased by events in Libya; it was pumped out of the ground weeks or even months ago. But if you think this way you must be some sort of dangerous malcontent. Do you seriously think that oil companies and other speculators would take advantage of people fighting and dying for their freedom to make obscene profits? Whatever you do, pay no attention to oil company profits. Just pump your $4 gas and shut up. I had a colleague once who liked expensive pens. When I was a kid, an expensive pen was a Papermate (as opposed to a Bic). A real fancy pen was a Parker. But my late colleague favored fountain pens that probably cost as much as the computer on which you're reading this post. Can you imagine spending a thousand dollars or more on a pen? As I grew older, graduating from this or that, I received pens as presents. The standard-issue graduation gift, back in the day, was a Cross pen and pencil set. I must have half a dozen Cross pencils hiding in the bottom of various drawers or boxes at my home, hardly ever used, even when new. I managed to lose all the Cross pens. Strictly speaking, it's not a Cross pen. All things being equal, the barrels of the Cross pens were a little too thin for my taste. But this pen -- which I think my sister got for me because it was a premium giveaway at a conference she once planned -- was a little thicker. Still, it used Cross refills. I've had this pen now for at least 20 years. Probably longer. The plastic in the pen has lost a great deal of its plasticity; it has, in other words, become brittle. Actual chunks of plastic have broken off at the top of the pen. Time flies. And though I am, like most of you, increasingly dependent upon keyboards to communicate even the most basic thoughts, I still have occasion to use a pen. Not everything I pay (when I pay it) is paid on line; sometimes I have to write checks. I take notes with a pen, especially when I'm away from my office -- at a deposition, say. On the way home at night, if I try and reconstruct my time for the day, I'll jot my entries down on a legal pad. (I'll transcribe them into the computer later.) Eventually, even the sturdy Cross medium point black refill will run out. As my pen did, some weeks back. For years, this posed no problem. Every decent office building in Chicago's Loop had a cigar store in the lobby. Pen refills -- especially standard ones, like Cross medium point black refills -- were readily available. But there aren't as many cigar stores as there used to be. A lot of these are Starbucks now, or juice places. And, even when there are still cigar stores, there are few cigars to be had. And no pen refills. The last Horders store in the Loop closed a year ago or more. Horders was a place where lawyers bought fillable legal forms and office supplies. There used to be several of these.